The most common diabetes blood test is the fasting blood glucose test. Learn about it and the other common tests for diabetes. Why should you care? Because diabetes is one of the fastest growing diseases around the world. The numbers are expected to double in the next 20 years except something drastic is done to curtail it. Most people suffering from diabetes are not even aware of their condition. 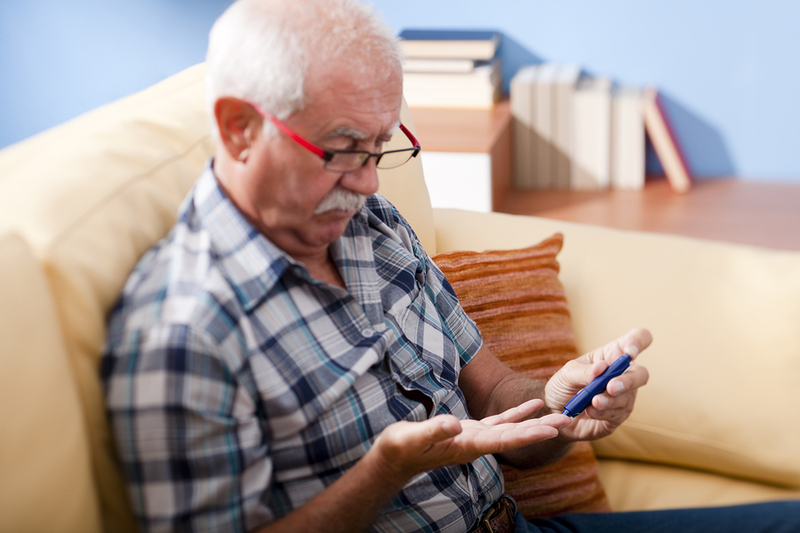 Symptoms of diabetes could go on for several years before people become aware of their illness. Sadly, patients in developing countries who suffer from diabetes are at the most risk due to the fact that an affordable way of detecting diabetes in its early stages is financially out of reach. Also, modern lifestyle and health choices have also greatly increased the occurrence of diabetes. The most popular method of checking for diabetes is through blood glucose tests. Blood glucose levels are usually checked and if levels are above what is considered normal, further tests are conducted to confirm the finding of diabetes. This article will discuss some of the most common test conducted to detect glucose levels. Fasting blood glucose test is the best and most convenient method of taking a diabetes blood test. It is generally the most popular means of determining blood glucose levels. This is usually done by asking the individual to refrain from eating any food for 8 hours prior to the test. This normally occurs at bedtime when the individual is asked to fast for 8 hours. A blood sample of the individual is then taken in the morning and checked for glucose levels. If the blood is found to have less than 100 milligrams per deciliter, then this would mean that individual have normal blood glucose levels and is, therefore, negative for diabetes. If for any reason the blood glucose levels are between 100 to 126 milligrams per deciliters than the individual is diagnosed with prediabetes. A discovery of 126 milligrams per deciliter and above for such test would mean a positive diagnosis of diabetes. Though follow-up tests are needed to conclusively confirm diabetes. The onset of diabetes is signaled by classic symptoms of frequent urination, fatigue, and thirst. When this happens, a blood sample is taken from the patient and tested for blood glucose levels. If the blood glucose levels are measured to be 200 milligrams per deciliters or above, the individual is most probably diabetic at that stage. However, to conclusively confirm that presence of diabetes, the patient is made to take the glucose tolerance test and if discovered to have high levels of glucose in the blood, then diabetes diagnosis is made. Though not commonly employed nowadays, Oral Glucose Tolerance Tests are conducted mostly for pregnant women. This is done to determine if a pregnant woman is suffering from pregnancy induced diabetes or gestational diabetes. If you are a person suffering from severe bouts of thirst, unexplained weight gain or loss, frequent urination, increased hunger or a tingling sensation on your feet or hand, you might be suffering from diabetes. A diabetes blood test is very safe and can easily determine if you are suffering from diabetes. A timely visit to your healthcare provider or doctor could help you stop the progress of the disease and help you live a healthier and better life. If this is out of your reach, look into getting an inexpensive / free over the counter diabetes test kit and test your blood sugar levels yourself. You can read up about normal blood sugar levels and blood sugar testing right here!